One of Sociology’s main areas of inquiry seeks to understand the way objective reality is shaped by subjective experience. The facts of social reality, along with the social boundaries that exist within this reality, are arguably more visible and contentious today than years passed. A sociological framework allows us to question seemingly static boundaries and explore the possibilities of transcending them. The fluidity of our reality is made apparent when we examine personal identity: individuals may find agency as they construct and perform their identity, while at the same time, we must acknowledge the privilege and discrimination intertwined with identity. Contemporary sociological work reveals both the fluidity of gender, sexuality, race, ethnicity, and other characteristics of identity, while it also examines the boundaries that society creates, negotiates, and enforces surrounding identity. Second, shifting national boundaries are increasingly of urgent concern. Innovative social science research is crucial in making sense of changing national politics, immigration law, foreign policy, and the effect borders have on local, national, and global communities. More than ever, anxiety over the bounds of national identity, and nation of origin intersect with social justice and human rights. Furthermore, let us consider the boundaries of classical social theory and historical perspectives. While theory provides a framework for research, it can also limit the analysis of contemporary social phenomena. 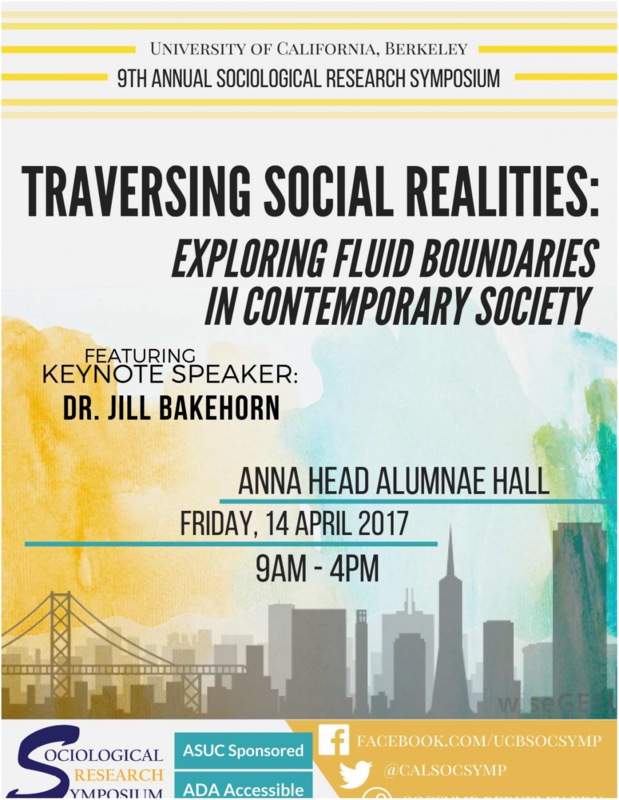 Social boundaries have experienced great transformation since the days of Marx, Weber, and Durkheim. At the same time, contemporary critique realizes the limited perspectives of these theorists. What are the limits and possibilities of personal identity formation, regarding, but not limited to religion, nationality, race, ethnicity, gender, and sexuality? How do people navigate socio-spatial boundaries meant to keep them out? What effect do visible and invisible boundaries of neighborhoods, cities, states, and countries have on individuals and communities? What social factors have led to changes in the meanings and scope of boundaries? How can changing boundaries aid or deter social mobility? To what extent are boundaries still significant in our society, as the world becomes ever more interconnected? As our national landscape appears to become ever more divisive, social scientists are responsible for researching, documenting, and questioning the boundaries our collective social reality presents. The Sociological Research Symposium aims to gather passionate undergraduate researchers whose scholarship has the power to question social reality. We hope to foster not only an inclusive academic sphere, but a platform in which budding researchers can contribute to the dialogue of a more inclusive and accepting social reality. Thank you to those who made the 2017 Sociological Research Symposium a success! This includes presenters, guests, family members, volunteers, graduate student evaluators, faculty mentors, committee members, the Sociology Department, and more!